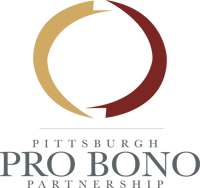 The Pittsburgh Pro Bono Partnership is a collaboration of legal departments, law firms, the Allegheny County Bar Foundation, and Neighborhood Legal Services Association. 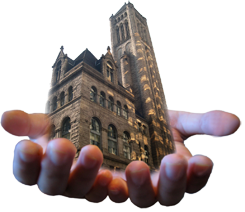 Our purpose is to increase attorney and paralegal pro bono legal services to the greater Pittsburgh community. We especially encourage new and more creative efforts to provide legal services to persons of limited means and to those organizations, including charities, which work on their behalf. Highmark Health and Highmark Inc. If your law firm, legal department or organization is interested in learning more about the Pittsburgh Pro Bono Partnership, please contact Barbara Griffin, Esq. at 412-402-6628 or bgriffin@acba.org. If you are a low-income individual seeking legal assistance, the Allegheny County Bar Foundation Pro Bono Center may be able to assist you. 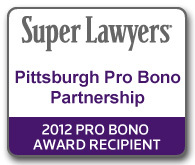 Contact the Pro Bono Center at (412) 402-6677.